Take some title contenders, sprinkle in some challengers, and a few potential spoilers, and you've got this year's U.S. Open mixed division. Ultiworld’s coverage of the 2018 Mixed Division is presented by Universe Point cleats; all opinions are those of the authors. Please support the brands that make Ultiworld possible and shop at Universe Point! WUCC has come and gone, and it’s time for the U.S. Open. For four of the top mixed teams in the country, that means jumping right back into the grind of the Triple Crown Tour less than two weeks later. With eight teams in the top 25 of Ultiworld’s Power Rankings, competition will be intense around the tournament, headlined by #1 Seattle BFG, #3 Seattle Mixtape, #4 Philadelphia AMP, and #5 Boston Slow White. Several teams have experienced roster transitions since WUCC and the Pro-Elite Challenge, and each team’s ability to integrate new additions will be crucial in their quests to advance deep into the tournament. Recently crowned World Champion Seattle BFG arrives at the U.S. Open with little turnover from their WUCC roster. 27 of BFG’s 28 WUCC players are listed on their USAU roster. Kieran Kelly and Rena Kawabata were standouts at WUCC, and figure to carry the BFG offense throughout the U.S. Open with their downfield feats. Kawabata is a scoring machine for BFG’s offense, looking dominant in the deep space and giving their arsenal of throwers a great target. Kelly, meanwhile, seems equally at home initiating the offense as a thrower or a cutter. With both Kelly and Kawabata back to full speed, the WUCC winner’s offense is both more balanced and more potent than ever. Add Mario O’Brien and Andrew Hagen’s veteran leadership and defensive energy to the mix, and BFG can go toe to toe with any team out there. The Seattle team proved to be world-beaters. Now they have a chance to show how good they can be against many of the teams between them and a double peak. BFG’s Friday afternoon game against Seattle Mixtape looms large; the Seattle powerhouses haven’t matched up since Northwest Regionals last year (a 15-12 Mixtape win), and BFG have a shot to flip the script against their city rivals. Seattle Mixtape looks to rebound from their WUCC quarterfinal loss to Boston Slow White, but they will have quite a different roster. While Mixtape add former BFG standout Brian Stout and 2015 U-23 player Nikki Bruce, they will miss Drew Johnson and Jen Cogburn (not playing the club Series). Abbie Abramovich, Paige Kercher, and 2017 All-Club 1st teamer and DPOTY Evan Klein are unavailable this weekend. Klein’s absence erodes the defensive core that much more. Mixtape will also lose a few players to YCC coaching commitments, which will impact their roster on Saturday and Sunday. All that being said, this is still a team loaded with explosive players. Bert Abbott and Khalif El-Salaam will get plenty of blocks and look to push the pace on the turn. On offense, Ultiworld’s 2017 Mixed POTY Mark Burton will rack up scores, and with Claire Revere healthy again, expect the offense to keep clicking despite the absences of Kercher and Abramovich. Lani Nguyen and Brad Houser will help the offense keep humming, and Reed Hendrickson’s addition could have a significant impact. Mixtape should still be considered among the favorites to win the first leg of the Triple Crown Tour, and expect them to be fired-up and ready to remind us all of how good they are. Philadelphia AMP enters as the top seed in Pool B. Calvin Trisolini and Sean Mott did not play at Club Worlds but are both poised to be key contributors this weekend. However, AMP will have to adjust to the losses of stars Allysha Dixon (Molly Brown) and Michael Ing (Temper). 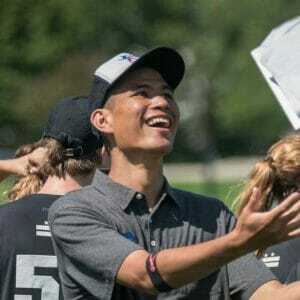 New addition Nicky Spiva fit right in with the team at WUCC, as he has the ability to swing between guarding tough matchups and controlling the tempo in the handler set. His presence, along with the impressive handler work from Emily Shields, should ease the loss of Dixon and Ing. AMP is a deep enough team to withstand those absences, and they proved early on at the Boston Invite that the turnover hasn’t hurt them too much. However, in the middle of the club season, AMP can’t afford any slips with bids on the line, and a highly competitive Mid-Atlantic region chasing after them. They may get a chance to avenge their Club Worlds semifinal loss to BFG, but that can’t occur until Saturday afternoon at the earliest. Boston Slow White will have the most roster transition of any of the top four teams. They lose the offensive production of 2017 All-Club 1st teamers Lexi Zalk and Tannor Johnson. Four additional WUCC players joined Boston Snake Country for the club season, and the team will also be without handler Jeff Smith, Ultiworld’s Mixed Player of the Year from 2016. Captains Alex Trahey, Hannah Baranes, and Olivia Hampton will focus on the process and improvement this weekend as Slow White looks to find roles for their nine new roster additions, especially following a WUCC run with their 2017 roster. Expect to see Tommy Ferguson light up the stat sheet, but Slow White will need strong performances across their roster to have a shot at vaulting above AMP for the top seed in the pool and stave off a surging #6 Denver Love Tractor team. Denver Love Tractor arrives in Minnesota fresh off of a win at the Pro-Elite Challenge. While they will miss Geoa Geer (injury) and Mikey Lun (Master’s Worlds), Love Tractor is adding some additional firepower in Dori Franklin (All-Star Tour 2015), who will play in her first tournament as a member of the team this season. Jack McShane and Jesse Roehm were excellent in Colorado, and they’ll provide much of the offense for Denver, but Love Tractor will need Hallie Dunham and Meg Henderson to keep stepping up if they want to build on their early season success. The team’s roster consistency relative to other teams may allow them to better achieve their team goals for the weekend. Pro-Elite Challenge semifinalist and perennial contender #8 Minneapolis Drag’n Thrust’s only loss of the season was by a single goal to Love Tractor, and expect them to come out looking to overtake both the Seattle teams ahead of them. This weekend, they’ll have some players missing due to Master’s Worlds. Drag’n Thrust will lean even more heavily on athletic standouts Sarah Meckstroth and Brian Schoenrock, but they’ll need support from their younger players in high pressure situations. Charlie Schuweiler and Emily Regan will have to shoulder even more of the burden for the hometown team, especially if they want to push to the semifinals and re-establish themselves as a true title contender. #15 Madison NOISE had an up-and-down Pro-Elite Challenge, going 3-4 and posting big wins over #16 Los Angeles 7 Figures and Pittsburgh Alloy. However, they were also blown out by #12 Durham Toro in their second match of the weekend, and generally looked like they were missing some consistency on the offensive side of the disc. In Colorado, they relied heavily on Dayu Liu to generate movement, and they’ll need him to step up again to have a shot at notching an upset this weekend. If NOISE’s deep game is on point, they have the athleticism to really pressure both Slow White and Love Tractor, and with a relatively full roster making the trip to the U.S. Open, they have the depth to make life tough for shorthanded teams in their pool. Breaking News: #20 Dallas Public Enemy just added 2016 All-Club 1st teamer Chris Mazur to their roster; he returns to the team after moving to Los Angeles and missing the Pro-Elite Challenge. Public Enemy’s 16 new players contributed to their 13th place finish in Colorado, but the addition of Mazur, along with the consistency and playmaking ability of Dani Runzo, should provide the offensive handling firepower and right the ship for Public Enemy. Expect the Dallas team to have their sights on springing an upset over Minneapolis Drag’n Thrust to help get back on track, and bringing back one of the most dangerous offensive threats in the division in Mazur could push them over the top. Cincinnati Steamboat also has 16 new players on their roster. With so many new players, the team has focused on intentionally holistic, season-long goals to build up and push for another Nationals run. That means continuing the improvement process this weekend. A winless Pro-Elite Challenge landed Steamboat at 82nd in the most recent USAU rankings. Steamboat plans to shift from an open rotation system to a more calculated line calling system, and are certainly hungry for some wins. Expect to see Brittany Winner and Ryan Gorman play as many points as they can, though the absence of cutter Tim Settles hurts their downfield playmaking ability. It will be an uphill battle for Steamboat, but close games will help build confidence for a run down the stretch. Can the International Superstars Lead Their Teams to Wins? The international teams in the mixed division at the U.S. Open will provide some interesting wrinkles to the pool play matchups. Germany Mixed brings Hässliche Erdferkel standout Steffen Döscher and his WUCC mixed-leading 36 goals. None of the U.S teams in the pool have been forced to contend with him yet, and he proved he could make plays against top U.S. teams as he notched five goals and two assists against AMP at WUCC. He will need to be at the top of his game for Germany Mixed to make a run towards the semifinals. For Colombia’s Fire Ultimate Club, the road looks tougher given the small roster. 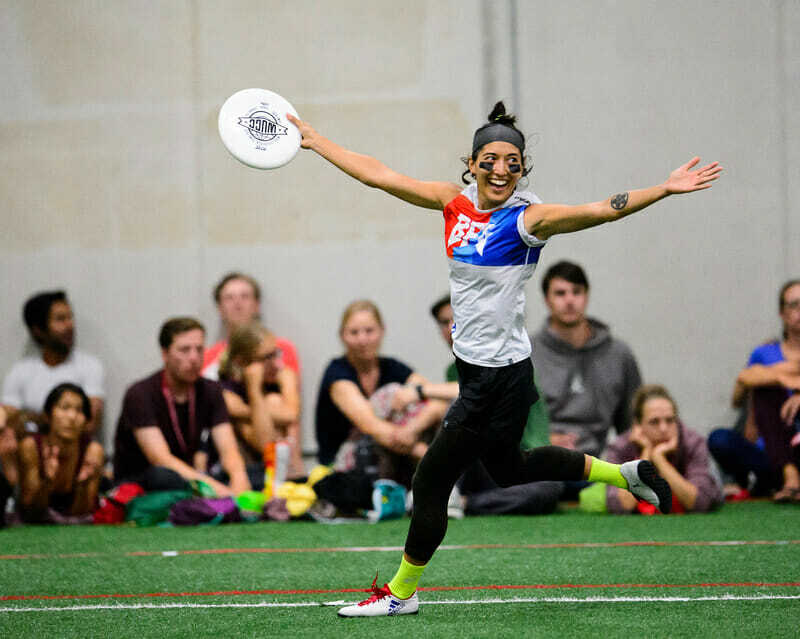 However, they do boast Valeria Cardenas, who brings elite women’s handling skills and athleticism over from Revolution’s run to the WUCC final. Both German and Colombian teams will only have 16 rostered players, so it remains to be seen how the lack of depth will impact game strategy over a three-day tournament. Expect to see some opportunistic games from each side, conserving energy when they can in order to surprise one of the non-WUCC U.S. teams ahead of them. Storm has a 10-4 record over two regional tournaments this season. They are looking forward to playing against higher level competition, and if they want to push the Southeast region towards more than one bid, they’ll need some close results against the best the mixed division has to offer. Their Friday afternoon matchup against Public Enemy represents Storm’s best shot at swinging the rankings in their favor, and if they can follow up with good showings against BFG and Mixtape, that could prove to be enough to help the Southeast in the rankings game. Outside of the international squads, Storm are true wildcards in this U.S. Open slate. Ben Feng has played for Truck Stop, the DC Breeze, and Georgetown University. He has coached at National Championships in three divisions: Club Mixed (Ambiguous Grey), College Women's (Pittsburgh), and YCC Mixed (Swing Vote, BUDA). Ben lives in Oregon and you can reach him by email (bfeng7@gmail.com) or on Twitter (@BFeng7). Comments on "U.S. Open 2018: Tournament Preview (Mixed)"